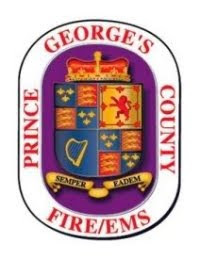 Stephanie A. Bunce is a 17+ year employee with the Prince George's County Fire/Emergency Medical Services (EMS) Department. Bunce has had several assignments throughout her career as a firefighter, paramedic and technician. She is currently assigned to the Office of the Fire Marshal, Fire Investigations Division, as a Lieutenant on B shift. Stephanie enjoys many activities while off-duty with her family and one of her most passionate is being a volunteer with the Leukemia Lymphoma Society (LLS), in particular, the Man & Woman of the Year Campaign. Bunce and her family began working with LLS in 2015. Bunce’s husband, Tom, a Sergeant with the Prince George's County Police Department won the title of “Man of the Year” for 2015. Her niece ran the following year and was crowned the “2016 Woman of the Year”. Last year, her brother-in-law, who is a Corporal with the Prince George's County Police Department, won the title as “Man of the Year for 2017”. Her team, “Crushin’ Orange,” is now participating in its fourth year with this Campaign. The past 3 years her team has raised just shy of $300,000.00!!! This year they hope to break their record and raise $150,000.00 within the next several weeks. New hope to find a cure for blood cancers has never been greater. Funds raised are really making a difference, but there is still a long way to go. Cure rates for some forms of childhood leukemia have risen to nearly 90%, from 3% in 1960. However, incidences of lymphoma are on the rise, and leukemia is still one of the leading disease killers of children in our country. $1,000 Provides assistance for a year of PCR testing for a CML patient. $500 helps defray the costs of treatment-related travel for a patient. $100 covers the cost of one tissue-typing test used to identify a bone marrow donor. $50 covers the cost of one CT scan. To make a secure donation. No amount is TOO small when dealing with this disease. EVERY DOLLAR COUNTS!